The world’s largest oasis in the Moroccan region of Tafilalet is being threatened by climate change. Morocco has three major objectives: recognising issues related to climate change, preserving oases, and developing them to a single model of resilience. 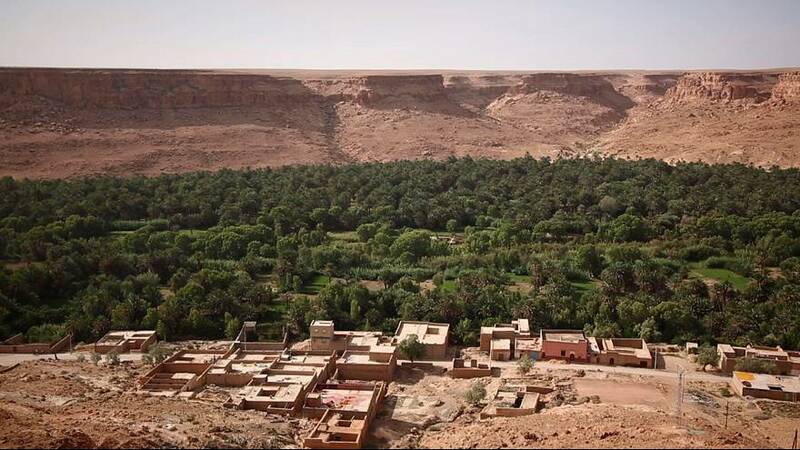 Morocco has launched a sustainable environmental protection program promoting local products and ecotourism as well as the conservation and development of oases. Water is very important to preserving Morocco’s oases. Various methods are used to get the precious liquid from the desert: wells, underground pipes, canals and dams. The afforestation of the Moroccan palm groves takes place through in-vitro culture: in the laboratory many shoots are cultivated by organogenesis and embryogenesis. “We mainly produce date palms, our production capacity is around 100,000 plants per year, mainly cultivating the sweet-tasting Medjool (Mejahul) and other national varieties such as the Boufegouse and Nejda,” Dr Mounir El Bellaj, Technical Director of the Maghreb Palm Laboratory, told Euronews. For the young palm trees to grow well, they must be carefully protected. “The plants are intended for the small farmers of the Palm Grove and the Moroccan oasis to help them improve their income and better manage the effects of climate change, such as droughts,” said Abderahim Hilali from the Maghreb Palm Lab.